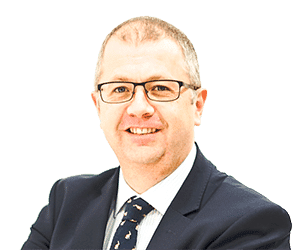 Throughout his career of in excess of 20 years, Philip Edwards has devoted himself to his role of a serious injury solicitor, acting on behalf of survivors of life changing injury and for the families of those who have lost loved ones. He has particular expertise in head injury claims, having handled some of the highest value and most complex litigation in the field. He also has represented clients following traumatic amputation, spinal cord injury, multiple orthopaedic injuries and burns. He acts for both children and adults who have sustained serious injuries. Philip’s approach is client centred and focuses on the claim being only a component part of the solution for his clients. He puts rehabilitation at the centre of what he does, and links with his many connections in other professions (such as Brain Injury Case Managers, Neuropsychologists, Occupational Therapists, Physiotherapists, Assistive Technology experts and others) to ensure that his seriously injured clients receive the best possible treatment and therapy, and restoring their quality of life and independence as far as possible. In his work on fatal claims, Philip understands the particular sensitivity involved, and will work closely with the family through all stages of the case, including the inquest and any criminal prosecution, as well as the compensation claim. He has considerable experience as an advocate at Inquests. Philip has extensive experience of investigating and pursuing claims from all types of situations. He has regularly been involved in road traffic collision claims, acting on behalf of car drivers, pedestrians, motorcyclists and cyclists. He has expertise in claims following accidents at work, often caused by falls, problems with machinery, defective protective equipment, burns and chemical exposure. Philip has also handled some high profile claims against occupiers of buildings and premises whose negligence has lead to injuries to his clients. Philip was also one of the first in the UK to receive the prestigious “Accredited Brain Injury Specialist” status awarded by the Association of Personal Injury Lawyers. Philip is based in our Birmingham office, but represents clients nationally throughout the Midlands and the Black Country, across the north of England, and through Oxfordshire and into London. Phil’s expertise includes working with a wide variety of charities and other organisations supporting victims of serious injury. He has been involved in many charitable events to raise funds for organisations who assist serious injury survivors and those that campaign to reduce accidents. Amongst his events have been two skydives, abseiling and a zip wire from the top of a football stadium.